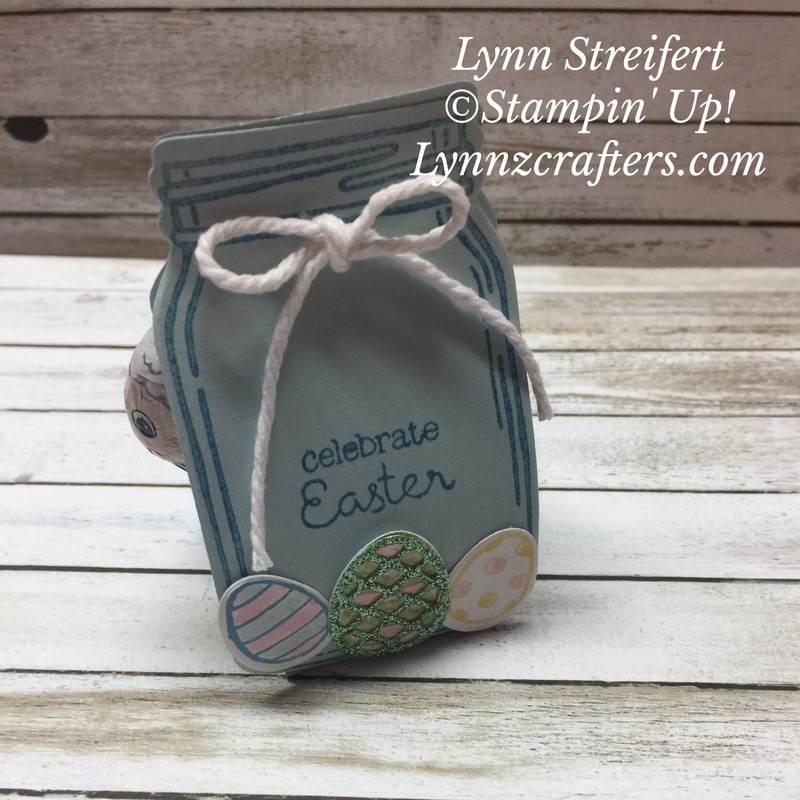 CCDT- April Hop- Happy Easter! 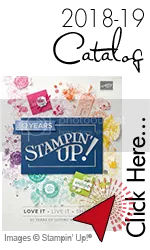 I’m tickled pink to tell you that I am all packed for my next Stampin’ Up! adventure- our OnStage local event- I’m heading off to Toronto, Canada (yes, that was the closest location by car for me) and some of my team are going with me as well! 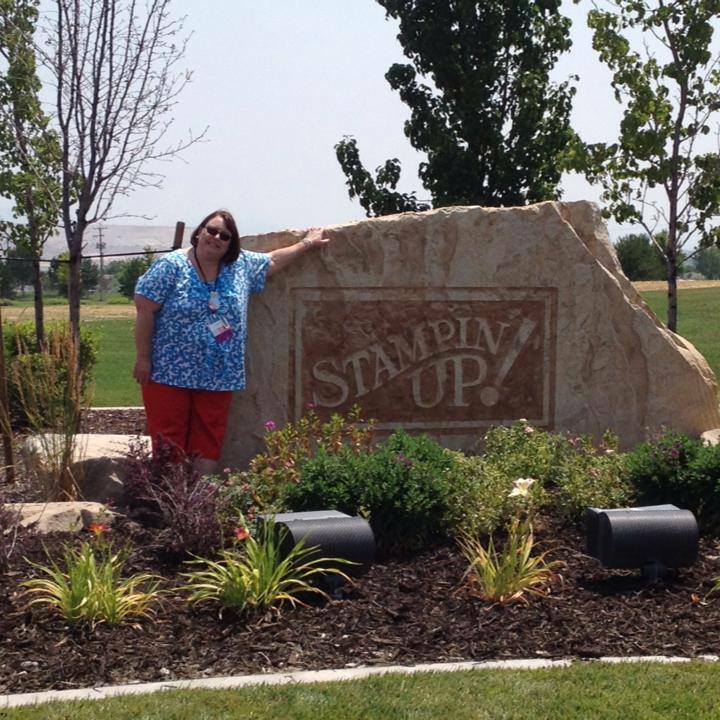 Be sure to swing back here over the weekend to see some photos of our trip! 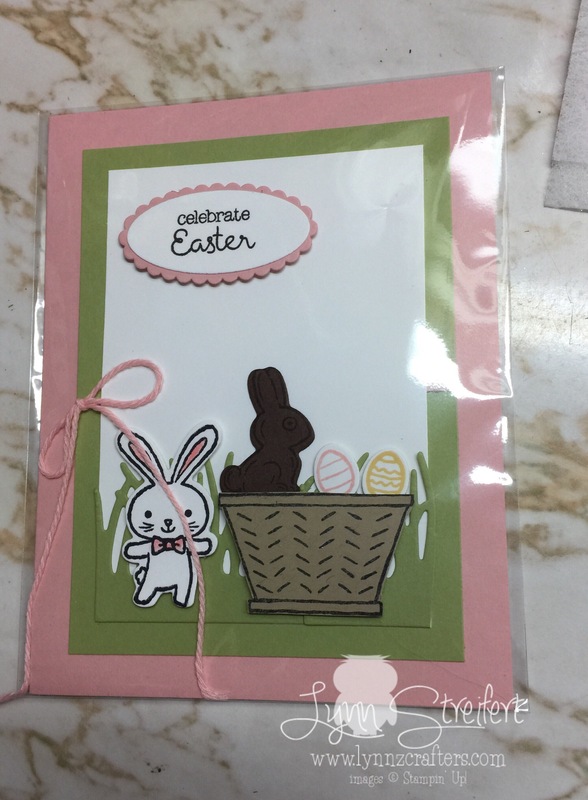 This Easter will be different for me, the first one without my mom, and then on top of that my sister and her family are going away for “spring break”, so I wanted to give my niece and nephew some fun Easter treats before they leave on their trip.We are actually celebrating Easter a day early so we can be together as a family. I know everyone will enjoy these treats- love the M&M’s in pastel colors! Good thing I saved my Top Note die, (it retired a few years ago, but I saw this idea on Pinterest and couldn’t resist). Also, showcasing an outgoing In Color- I’m really going to miss Cucumber Crush, what a nice vivid spring green. 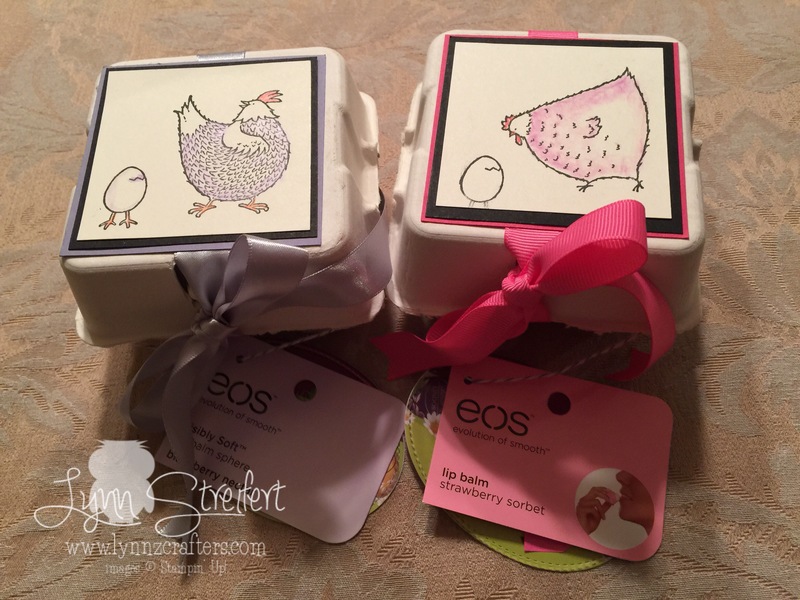 These two mini egg cartons I actually purchased from a friend and fellow Stampin’ Up! demonstrator, Karyn Morrison, didn’t she do an amazing job?! 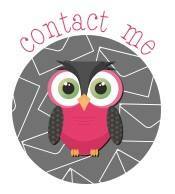 We were both vendors at a recent craft fair and I loved that we both had so many different items for sale. So I picked these up for my two nieces. 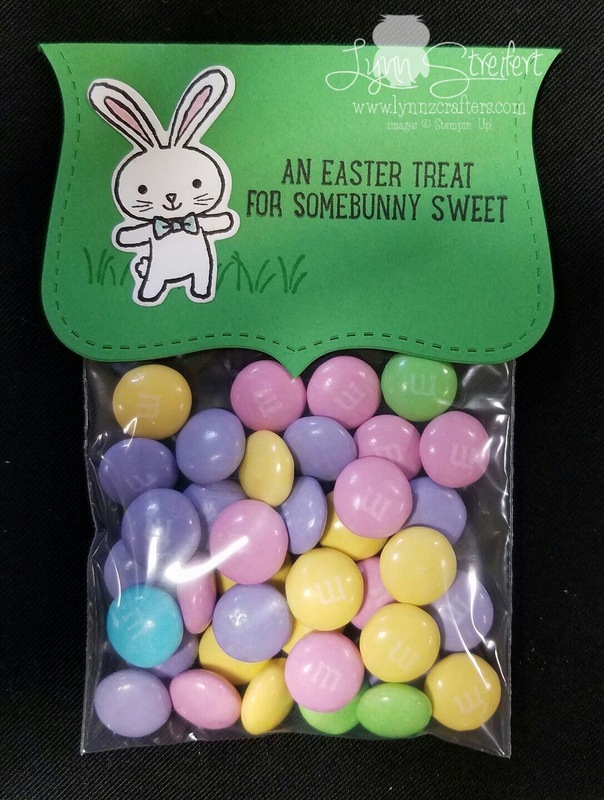 (I hope they don’t see this post, lol) Jordan’s favorite color is pink and Claire’s favorite color is purple, so I picked out mini egg cartons in their favorite colors. Karen filled them with eos lip balm and Lindt chocolate). 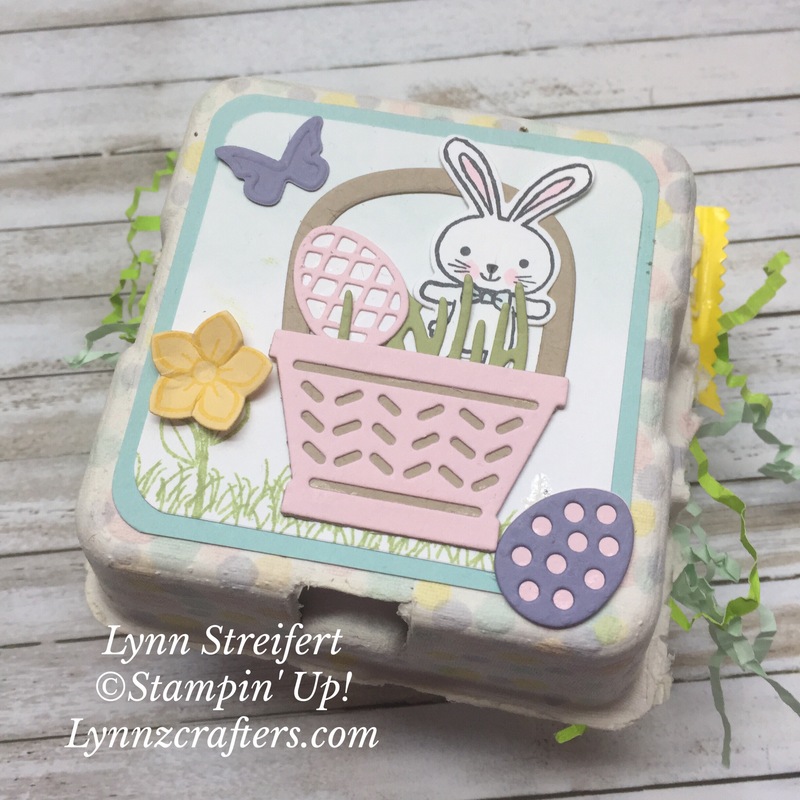 She was much smarter than me and ordered the egg cartons back in January when the Occasions catalog launched, whereas I thought I had more time to order them. Well, they were wildly popular and we quickly sold out of them, but the good news is- they are back, so if you want to order them- go for it! You can expedite shipping to have them here in time for Easter. 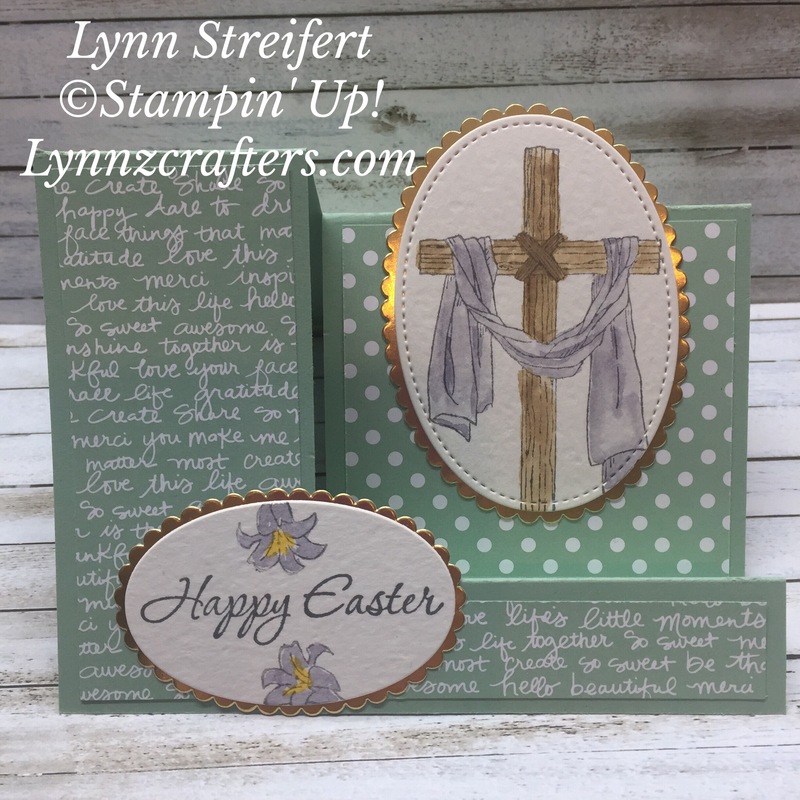 And here are some Easter cards I am planning to feature at my upcoming Easter cards and treats class on April 11th. (I still have a little room, let me know if you’re interested). 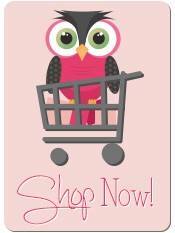 This one was made by one of my downline, Amye S., isn’t this adorable? I think my customers will love making these, it is filled with a little Lindt chocolate lamb. 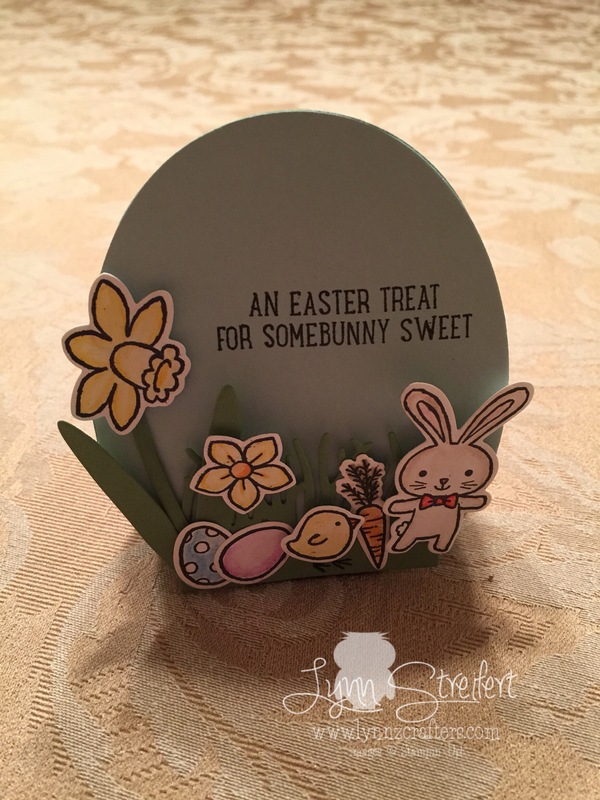 I threw a few more pictures in here for you to see all of my Easter creations in one spot. Well, that’s it for today, thanks so much for visiting me! Ready to go see what the amazing Kate has created for us?? I love this design team so much, everyone is SOOOO talented! 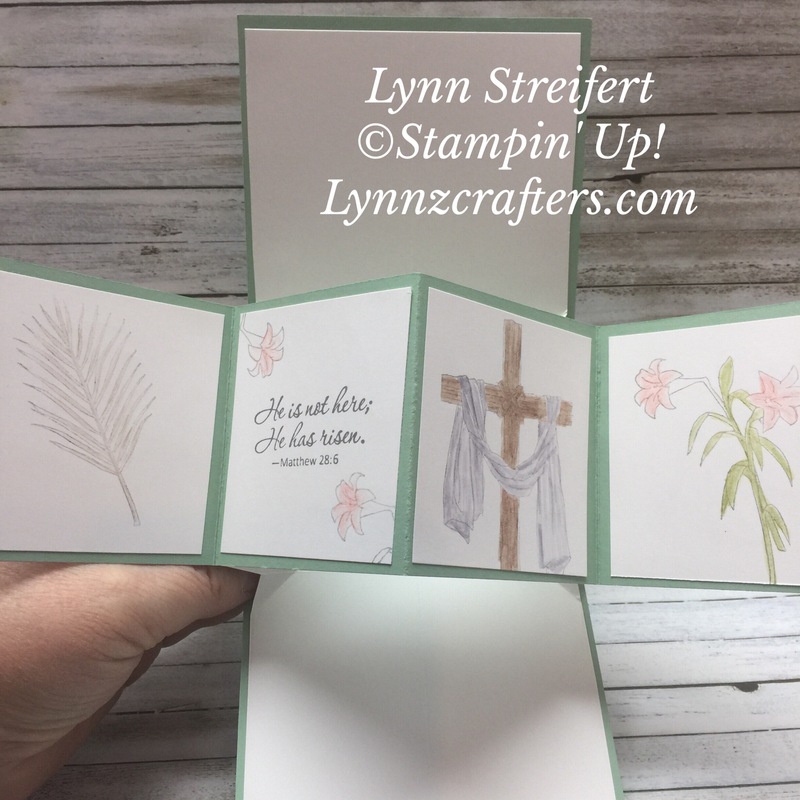 Lynn Streifert << You are here! Thanks so much for visiting today, I really appreciate it! Have a wonderful day and weekend! 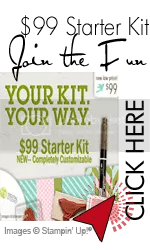 « We Create Blog Hop- Step it up April! You’ve been busy! These are all wonderful! Quelle belle production ! 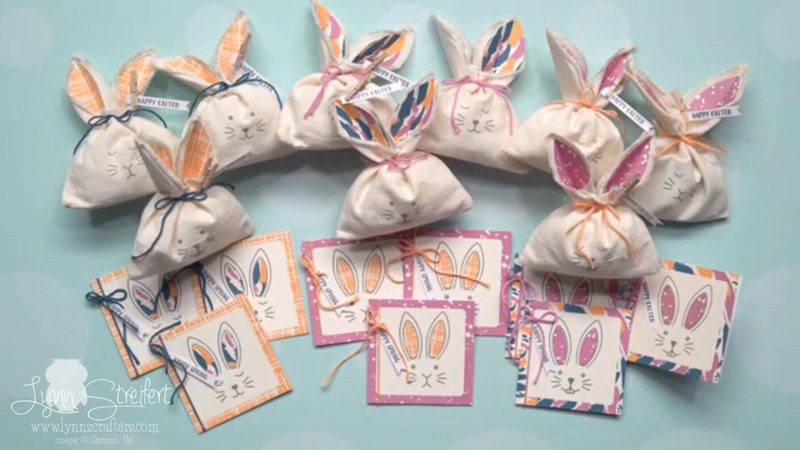 Mon projet préfèré est le petit sac en forme de lapin, c’est trop mignon. Thanks Laurence! so glad to have you on our hop! 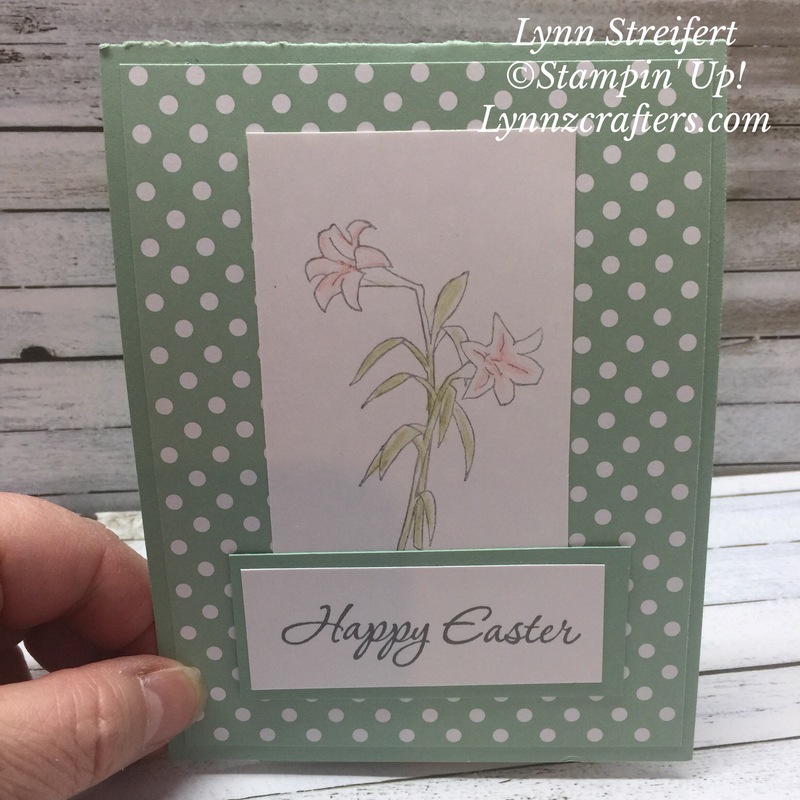 Happy Easter Lynn! 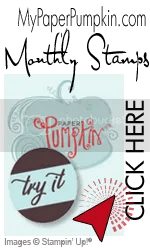 You have some amazing cards, goodies gifts, and some unique ideas! Love them all. So adorable Lynn! I love every single one!